I was very happy. I would like to use it again. This review is about item#87026554. I am using it for machine maintenance. The price is reasonable, and there is no problem in use. This review is about item#49525673. It's neither good nor bad··· It's nice to use because it is oilless. It would be even better if there is an item with a shaft diameter of 15. First of all we can use it as a substitute without problems. Durability is unknown. I have been using it five or six years ago, but since it is handy, I bought it again. It is appreciated because it is cheap as a genuine alternative and maintenance can be done easily. This review is about item#87026563. Good quality and good price. I did not expect it because it is cheap, but it is COSPA the best. This review is about item#5326195. Cost performance! The best! ! ! It is used for step repair parts of motorcycle. It is very handy for parts that want to keep costs down. It seems a bit disappointing because the appearance is not able to win the first-class manufacturer, but five stars. I am satisfied with both quality and price. There is no problem for durability at the moment. * I can purchase from one piece, but I bought it because it is cheap. · There is a catch on the movement of the ball. (We stopped using them.) · Since the liner part in contact with the outer circumference of the ball is installed nonuniformly, the threading part and the ball center are displaced (This part is not manufactured precisely, so the movement is bad). It is very helpful with prompt response. I would like to use it again. I purchased several pieces, but there are things with different shapes. The movement of the ball is astringent. I used it for change link of old car. Although the original change link is a structure with many loose coupling only by the pin, it became to operate without rattling by using this part. Purchased together with things of external thread type. This also produced good quality, solid. I am worried about durability along with external thread type. Used for pylosing the shift rod of Grom. I think that it is good to see the shift rod even once. 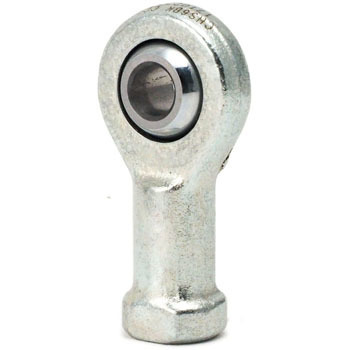 If you have nut and nylon lock nut and bolt on this, you can exchange easily. Katchi crash shift is decided. 2000 kilometers after exchange now No problem. Durability is unknown. There was too little wall thickness ... It was hard to install. Since the brake side joint of the back step of imported goods was anxious about the strength with resin, purchase, tightening of the screw was securely applied with torque and it was relieved. Brake = It concerns life. It can be used without problems. It was able to solve by using turnbuckle (right thread, left thread) together. This review is about item#05326195. It is cheap and saved because it is consumable parts. It will be saved if there is a large price. This review is about item#21111247. I used this product to make my own bike shift rod. We placed two orders, one moving smoothly, but one was in a state where the movement was astringent. I moved it a few times by applying a silicone spray to the moving part (movement moves, but resistance is large when compared) but the movement improved, but it was a bit disappointing. Other than that, there was no rattling, it was as intended, there was no problem. It was good that it could be obtained cheaply.